Tsuburaya Productions confirmed Ultraman Geed will stream on Crunchyroll. Coming straight from the episode 1 trailer video description, Tsuburaya Productions confirmed Ultraman Geed‘s arrival on the American distributor, publisher, licensing company and international online community Crunchyroll. Ultraman Geed tells the story of the son of the greatest evil in the universe, Ultraman Belial. Belial fought against the Space Garrison in various intense battles, leading up to the Crisis Impact event during which he attempted to destroy the universe. 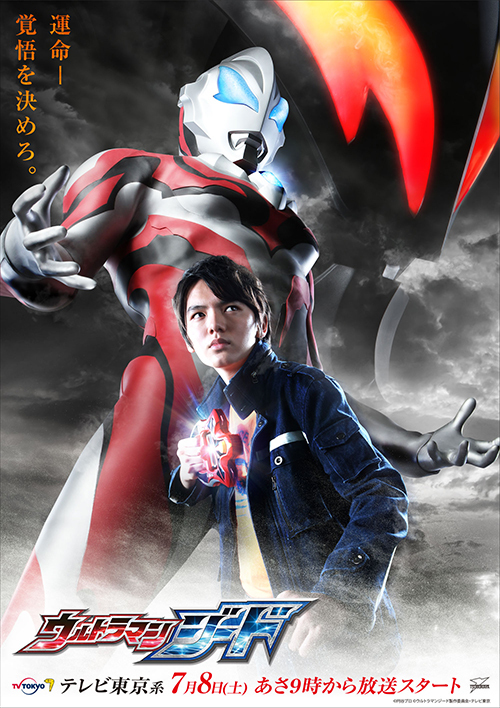 Riku Asakura regains his memory as the son of Ultraman Belial. His fate begins to move when a monster destroys his home and he is given the Geed Riser, allowing him to transform into Ultraman Geed. Riku goes into battle knowing one day he will have to face his fate: to defeat his father. The casts consists of Tatsuomi Hamada as Riku Asakura. Megumi Han as Pega, the Pegassa alien who is a child from the Pegassa alien race who becomes Riku’s best friend after being saved by the hero. Chirio Yamamoto as Raiha Toha, a fierce woman who wields a sword and has been pursuing the mystery behind the kaiju disaster of six years. Suzuko Mimori as Rem, a reports management system installed in the central computer of the secret base Seiun-So, located 500 meters beneath. Mayu Hasgawa as Moa Aizaki, Riku’s childhood friend and member in the AIB secret organization that investigates aliens who works together with Zena, a member of the Shadow alien race, to track down criminal aliens. Yuuta Ozawa as Reito Igakuri, A salaryman who lives with his wife and daughter and has a weak but serious personality and becomes the host for Ultraman Zero after dying while attempting to save children during a traffic incident. Rounding up the cast is Kunito Watanabe as Kei Fukuide, A famous sci-fi writer who transforms into the Belial Fusion Beasts using Kaiju Capsules. Read here for additional details about Ultraman Geed’s casting. The series will premiere on July 8th in Japan at 9:00 AM on TV Tokyo.